For Marshawn Lynch, the decision to come out of retirement and resume his NFL career was made as soon as the league announced his hometown Raiders were leaving for Las Vegas. Lynch wanted to give Oakland fans one last chance to cheer an Oakland native playing for an Oakland team. The NFL approved the Raiders’ proposed move to Las Vegas starting in the 2020 season on March 27. 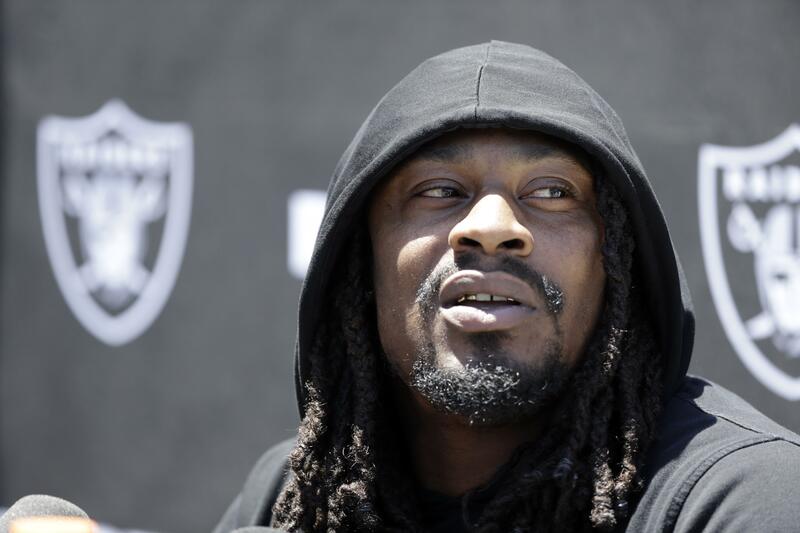 The following week, Lynch visited the Raiders to talk about the possibility of coming out of retirement. That happened three weeks later when Seattle agreed to trade Lynch’s rights to Oakland in a deal that included a swap of late-round draft picks in 2018. Lynch agreed to a restructured $9 million, two-year deal that includes incentives that could increase the value even more. There were billboards welcoming Lynch back home and palpable excitement for Oakland fans. Lynch was born and raised in Oakland, starring at Oakland Technical High School and then going on to play college ball at nearby California. Even during an NFL career that took him to Buffalo and Seattle, Lynch always kept close ties to the community that raised him. Since joining the Raiders, Lynch has been a regular participant in the offseason program, unlike during his time in Seattle, and he generated buzz when coach Jack Del Rio posted a video Monday of Lynch running for a TD during practice. The Raiders will be hoping to see plenty more of that from the 31-year-old Lynch once the regular season starts. Lynch was perhaps the best power back in the league before he retired. He had double digits in touchdown runs every season from 2011 to 2014, and his 51 TDs on the ground are the most in the NFL since 2011 even though he played just seven games in 2015 and was retired last season. He averaged 3.8 yards per carry in his limited action in 2015 before retiring. Before that, he was one of the game’s top running backs, with more than 1,200 yards rushing in each of the previous four seasons. He has already become popular with his new teammates because of his fierce loyalty and willingness to joke around. Published: June 6, 2017, 5:51 p.m.